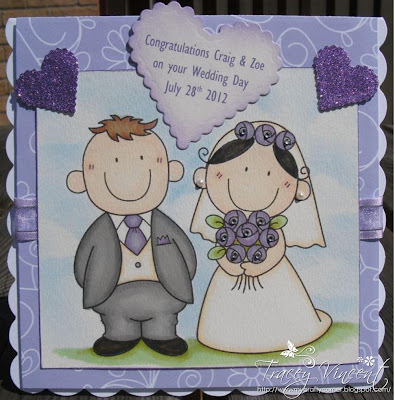 Though I think it was just a coincidence, Tracy created a wedding card using a Lovely Couple image and the color scheme was very similar to Lisa's card that I posted here yesterday. Thank you for sharing, Tracy! Gorgeous colours and love the hearts! Its an incredible joy perusing your post.Its brimming with data I am searching for and I want to post a remark that "The substance of your post is marvelous" Great work.for information rgarding exclusive wedding card services please visit to the link.